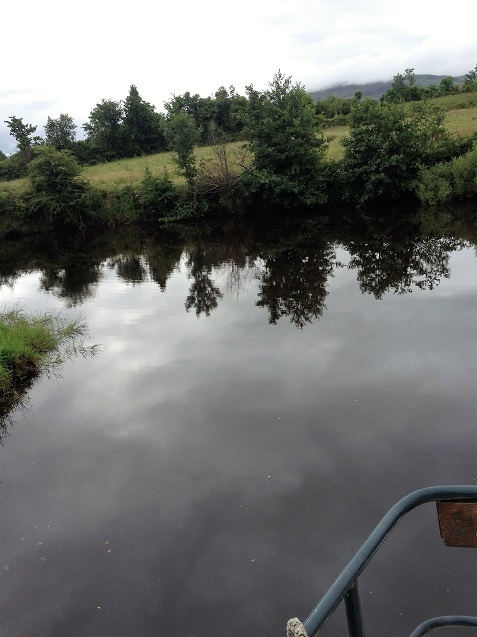 Location somewhere north of ‘end of navigation’, River Shannon, close to Dowra. Eight boats of the fleet shelter from a prolonged rain storm. 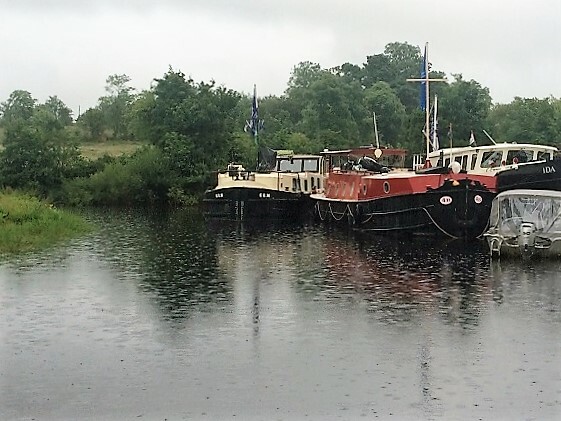 The remainder of the boats are scattered between Lecarrow and Lough Allen on route to the “Walk with the Big Boats on the Blueway” scheduled to begin next Friday at 11am from Drumshanbo. Following extensive ‘consultation’ with the local community last night in Rynns of Ballinacleira which resulted in much overtime by the HBA staff representatives it was decided that we should re-open the navigation (or at least part of it) to Dowra. It is a seriously beautiful river and apart from the sand bar at the entrance to the lake, there is deep water with just a few obstacles to be cleared. Lough Allen has to be one of the hidden gems of the inland waterways. With the success of the Wild Atlantic Way and the building of the Ireland’s Ancient East product, you would expect that the Allen Wilderness Trail could fill a niche market and appeal to those who want a little more adventure. 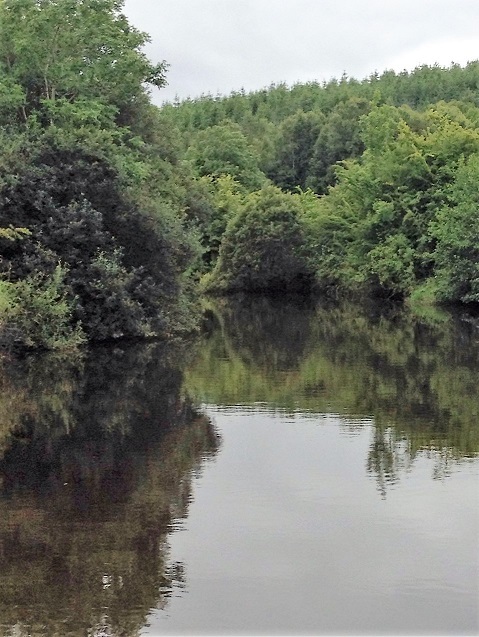 So we will overnight here on the river and tomorrow press on to have a look at another lake where we are told there may be a ditch worth taking an M boat into….just 'cos it links to another lake! If we don’t make it back by Friday we will expect a rescue expedition be sent to find us, watch out for the blue flags.